Love and romance are always in season at Seldon Park, the Regency-era home of the Rosemont family. Be scandalized by this unconventional brother and sister duo, as well as their friends, as they try to find love amid the societal rules and regulations of England’s Upper Ten-Thousand. Consummate rake, Lord Robert Tillsbury, the current Viscount Chillton – also known as Frost – is bored out of his mind and the Season is not yet at an end. So when Frost’s good friend the Duke of Candlewood sends him on a mission deep within London’s newest brothel, Lycosura, to uncover the truth about a woman known only as Ianthe, he can hardly resist the temptation. Except that there is far more to Ianthe than meets the eye and she becomes a puzzle that Frost is almost desperate to solve. Miss Lavinia Tremont, otherwise known as Ianthe, is living her version of hell on earth. The granddaughter of a duke, she has lost her place in Society and though is still chaste, knows that her place in life is now that of a fallen woman. Or is it? For when Frost frees Lavinia from Lycosura and installs her in his home as a long-lost relative, her world changes dramatically. When he takes her out into Society on his arm, she is even more terrified, believing that the secrets of her past might return to cause trouble for everyone involved. More importantly, she fears that she is falling in love with a man that she can never have. Especially once he discovers who she really is. Popularly known throughout England as “The Bloody Duke,” Lord Nicholas Rosemont, Duke of Candlewood is not a spy. No matter what anyone thinks. He is simply extremely observant, a talent he has put to good use over the years – both to his benefit and his country’s. Lady Eliza Deaver, daughter of the Marquess of Framingham, has known Lord Candlewood for years, even though few in society realize their unlikely connection. Eliza’s brother Stephen was one of Nicholas’ best friends. That was, until Stephen walked away from his duties and his family to join the army and never returned, dying at sea and plunging the entire family into deep mourning. Now a man has appeared claiming to be Stephen, but is he really? Neither Eliza nor Nicholas think so, but then, after so many years away, who can say for certain? Still, bringing this man back into the Framingham family is a risk, one Eliza is not willing to take without some little bit of confirmation that the man is really her brother. Can Nicholas, who has always felt responsible for both Stephen’s departure and Eliza’s well-being, use his vast resources to determine if this man really is his long-lost friend? More importantly, can he resist the sweet charms of the suddenly very delectable Lady Eliza? Or will she manage to do the one thing no other woman has – seduce the Bloody Duke into marriage? Lady Diana Saintwood is fed up – with the men of London, a man who refuses to marry her, and her interfering mother. As she faces what might very well be her last season in London, she is determined to live life to the fullest. All she truly desires is a few moments of fun for herself before the ever-proper Duke of Hathaway proposes – more out of a sense of duty than for any other reason, of course. If he ever gets around to the actual proposal, that is. Lachlan McKenna, the newly named Marquess of Hallstone, is in London for more than one reason. Lachlan is on a quest to right the wrongs his father has committed over the years before the disagreeable old man passes on and leaves his only son and heir nothing more than a bad reputation. If Lachlan should find a woman that captures his attention in the process, one who might make a suitable wife, so much the better. 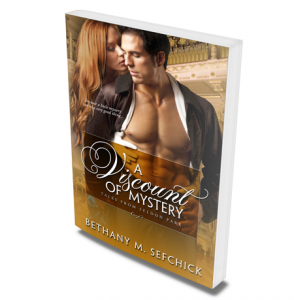 When he encounters Lady Diana Saintwood, however, Lachlan learns two things rather quickly. One, she is far from suitable wife material, and two, she has completely captured his heart with one witty conversation. Will Diana choose the wild, reckless path that leads straight into Lachlan’s arms or will she do as duty demands and wed Hathaway as everyone – including her mother – expects? Lord Marcus Cheltenham, the current Viscount Breckenright, has returned to London at the height of the social season to a great deal of fanfare and scandal. Single and undeniably handsome, Marcus has long been a favorite target of match-making mamas and their title-grasping daughters. However, that was before the fevers that ravaged his body and forced him to leave town for many years. Now the worst gossip in town has pronounced Marcus the “catch of the season,” despite his physical flaws and seems determined to find him a bride. Lady Caroline Turner was Marcus’ best friend for years and had high hopes of eventually settling into marriage with the notorious rake. Now, Marcus has returned, but he’s not the same man who departed London three years ago. Wishing to improve his marital prospects, Caroline, under her guise as gossip columnist Lady X, is determined to make Marcus the most sought after bachelor of the season. However, Caroline quickly realizes how painful it is to watch women pursue Marcus, especially when she is still very much in love with him. Unfortunately she’s also afraid that the secrets of own her past may return to ruin them both. Can Marcus and Caroline overcome their secrets and fears, and finally find their happily ever after? Lady Jane Ashford has been known as “Plain Jane” for as long as she can remember. Never a favorite with the gentlemen of the ton, she has remained on the fringes of ballrooms for years… until one night at the height of the season, she encounters a man who is everything she has ever desired – Lord Sebastian St. Giles, the dashing and much-sought-after Earl of Covington – and in an instant, her heart is lost. Captivated by Lady Jane, Sebastian is determined to make her his, at least until business calls him out of London. When he returns, he is dismayed to discover that in his absence, his mother has taken it upon herself to select his bride, and she has chosen the worst possible candidate, Jane’s half-sister, Lady Elizabeth. Now as Christmas fast approaches, Sebastian is forced to attend a house party where he is expected to announce his betrothal to Lady Elizabeth. Except that he cannot forget about Jane, the woman he truly desires. Unable to resist her, he finds himself spending every spare moment in her company, often times in the dark of night. 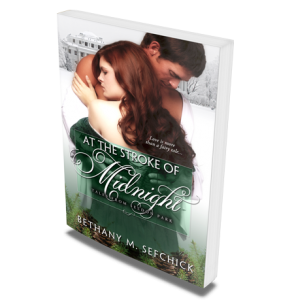 Will he find a way to make Jane his by the time the clock strikes midnight on Christmas Eve or will their fairy tale romance end before it even begins? Dubbed “The Paragon of The Ton,” Lady Amy Cheltenham appears to have everything a young lady of consequence could wish for – a loving family, cool English beauty, and a place in society to be envied. 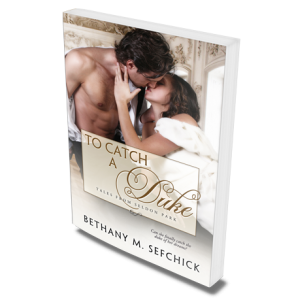 However, the one thing she lacks is the very thing she desires most – the heart of the only man she has ever loved. The son of a traitor, Dr. Gibson Blackwell has somehow managed to build a respectable life and a reputation for himself, even after the loss of his family’s title. Unfortunately, he has also done the one thing that he knows he should not – fall in love with a woman he can never hope to have. At least not without creating a scandal that is far beyond anything that London has ever known. Is love enough to conquer all that lies between Amy and Gibson, or are they destined to remain apart forever, nurturing a love that is far beyond scandalous? Can Julia finally catch the duke of her dreams? Lady Julia Rosemont should be enjoying her first season among London’s elite. However she’s not quite the blushing debutant most people expect, especially with her scars. Finding it difficult to navigate the ballrooms of London, she calls upon her best friend Benjamin, to offer her guidance. 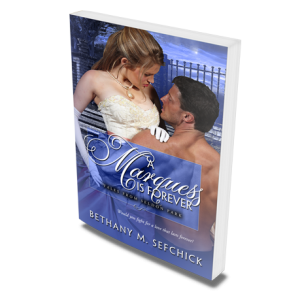 Benjamin Sinclair, the Duke of Radcliffe, has known Julia since they were children and there is nothing he wouldn’t do to protect her, even if it means exposing his darkest secrets. He just has to make certain that his heart doesn’t become involved, because if it does, he can’t be held responsible for his actions where Julia is concerned! It’s Twelfth Night and Lady Amelia Banbrook, the daughter of the esteemed Earl of Hollinworth, finds herself in a bit of quandary. 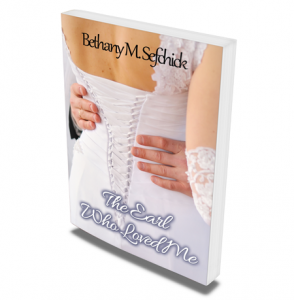 She is in love with her family’s country neighbor, the perennial bachelor, Lord David Rutledge, the Earl of Weatherby. Friends since their youth, Amelia is convinced that there is no possible way that David returns her love, no matter how much she might wish it or if he even remembers the night when her feelings for him changed. As the renowned Earl of Weatherby, David Rutledge is used to women falling at his feet. All except for the one he most desires, of course – Lady Amelia. The house party he has planned for Twelfth Night has done little to help his cause with Amelia, much to his chagrin. With title-grasping women chasing after him, can he find a way to seduce the woman he loves and make her understand that his love is real and not just some fleeting Christmas infatuation? Or will fear keep them apart and drive him into the arms of another? 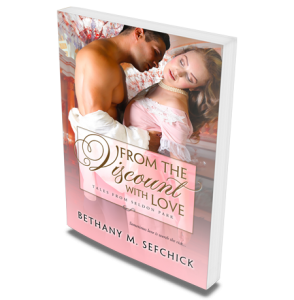 This 24,400-word novel is written in the modern, Regency romance style for a slightly hotter and sexier read. It may not be appropriate for younger audiences. Lady Lucy Cavendish is in a bit of a quandary. Her uncle, the current Earl of Wellsford has abandoned her at a coaching inn outside of London with no money and no way to contact her contracted fiancée, Archibald St. Vincent, the younger brother of the Duke of Enwright. Except that Lucy quickly learns that not only is Archibald not coming to claim her, but that a far worse fate than abandonment awaits. Adam St. Vincent, the Duke of Enwright, is furious. His brother has concocted yet another nefarious scheme, and this time, he doesn’t think he can buy his brother’s way out of trouble. Things become even more complicated when the lady in question arrives at Fairhaven where Adam is waiting for his brother. Cold and wet, it’s clear the lady is ill and needs medical attention, so Adam whisks her off to his home at Overlook Hill to recuperate. He might be called the Devil Duke, but he’s certainly no monster! Can Lucy, a woman of so-called “tainted blood,” due to her partially Indian heritage, ever come to love a man like the Devil Duke? And will Adam ever allow anyone in to see past his icy facade and to the warm and caring man beneath? This 31,300-word short novel is written in the modern, adult romance style for a slightly hotter read. It may not be appropriate for younger audiences.